When we talkeed of flying cars, it sounded impossible. But now, you can actually own a fly car. 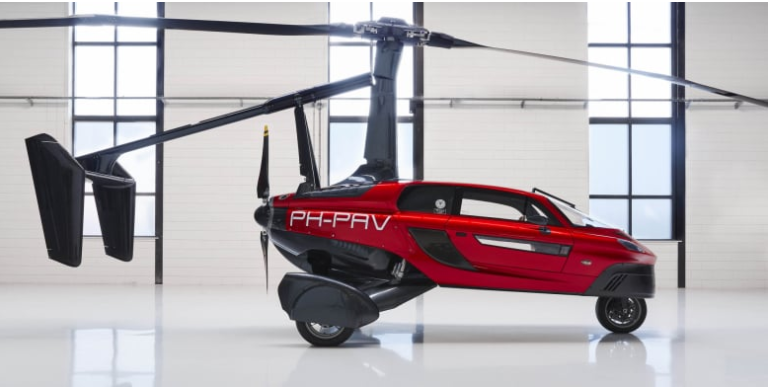 PAL-V, a flying car manufacturer has released it’s flying car (PH-PAV) for public consumption, and is already receiving orders. This means, you should expect to have cars flying over your head. The Dutch firm is actually the first to have commercial released flying cars. There are basic requirements you need to meet up to before taking a car to flight. In Europe you need a Recreational pilot licence. Other developed countries have various licensing required to fly a car. While you’re on ground, you only need to have your driver’s licence. PAL-V Liberty has basic flight controls inside, though not fashion tasty. Comes in a fish-streamed body design. It has rotor blades like a helicopter and it’s side wings are foldable. Motor fan which propels the car forward on air tails the car. The car cost about USD 25,000 max depending on your pocket size and online orders are available. PAL-V Liberty can go as fast as 112Mph on ground and at an unknown speed on air. I moped at this car for hours and all I can say is that, I’m not cool with the design. Read Also: Have phone done more harm than good in Nigeria ?